With the new year now here, New Year’s resolutions have been made and the gyms will be filled with eager patrons ready to lose weight, build muscle and improve their overall health. Here are three of the most common errors made by these new gym patrons which cause them to fail in their attempts and leave the gyms within six to eight weeks. The first is to fail to have a workout plan once you’re in the gym. Without a plan, most will wander from machine to machine and finally settle on a treadmill or bike when one becomes available. To avoid doing that hire a trainer, even if it’s only for one or two workouts. At the very least, research online or in fitness magazines, to get a beginner’s workout that includes photos or videos of how to perform a variety of exercises. Mistake number 1A, is to rely on the gym you joined to be helpful enough to provide instruction as a courtesy. The big box gyms all provide inclusive training packages as an add on to your contract. They don’t have the personnel to adequately keep a trainer on the gym floor answering questions and explaining how to train. It’s not entirely the gym’s fault. There are simply too many new members to be able to train all of them and too much potential income to ignore selling new members a personal training contract as an income source. A second common mistake is to try to do too much too soon. New members in their zeal to fulfill their resolutions, often try to do too many sets and reps without a proper understanding of how to ease into a new, healthier lifestyle. In the process, they workout so hard that even their hair hurts. The thought of continually going through a three to four day aftermath of pain can cause a person to not want to train. The third but certainly not the final common mistake is to fail to adjust their food sources because no training program can be fully successful without an adequate food program. You can’t out train a bad diet. 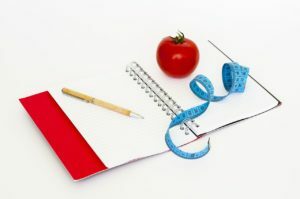 It can be challenging to try to diet and train all at once but the idea is to make gradual changes in your foods and have a plan for that as well. A diet is successful only for as long as you can live with it so nothing too radical will last for long. Get a handle on your health in the new year.